Surgeons and nurses at the Cardiology Department of Mater Dei will be able to carry out interventions and more complex and delicate procedures on patients with added arteries or other complications, with the assistance of a more modern equipment in the Cardiac Cathetirisation Suite, with an investment of a million euro from the Social and National Development fund, financed by the citizenship investment programme. The department’s chairperson. Dr Robert Xuereb, said that the technology will permit doctors to see and analyze veins or arteries with better precision without the need of major surgeries, however with the use of a millimetre tube which is inserted mostly through the thigh. Dr Xuereb added that the equipment will lead to significant improvement in the quality of treatment given to patients with heart disease. He recalled that this type of disease is the major cause of deaths in Malta, with an estimated 38% of deaths in the Maltese islands related to heart disease. During the inauguration, Prime Minister Joseph Muscat, said that every Government worked in favour of health, however he stated that the Government’s expenditure in the health sector increased from €381m in 2012 to €781 million in the 2019 Budget. Dr Muscat said that the Government will constantly continue with this type of investment and sees how the economic wealth is of benefit mostly to those in need, including patients and vulnerable persons. While thanking MAM for the recent agreement, he expressed hope that the Government reaches an agreement with MUMN. 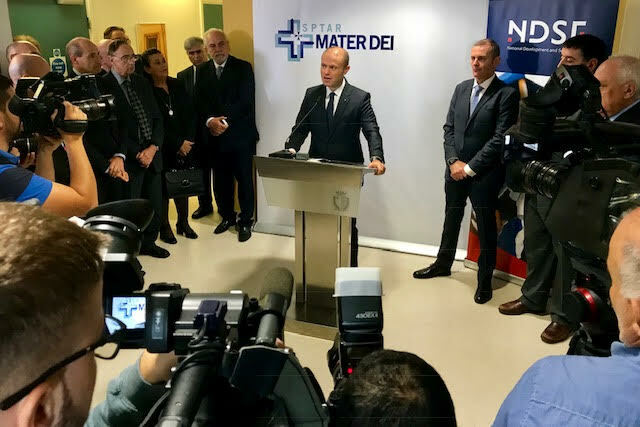 The Prime Minister added that the Government’s main priority is a great reform in the mental health sector, which needs a cultural change and the development of an acute hospital within the confines of Mater Dei, which eliminates the stigma on patients with the kind of disease. He said another challenge is related to the use of modern technology in health interventions, including with robotics. 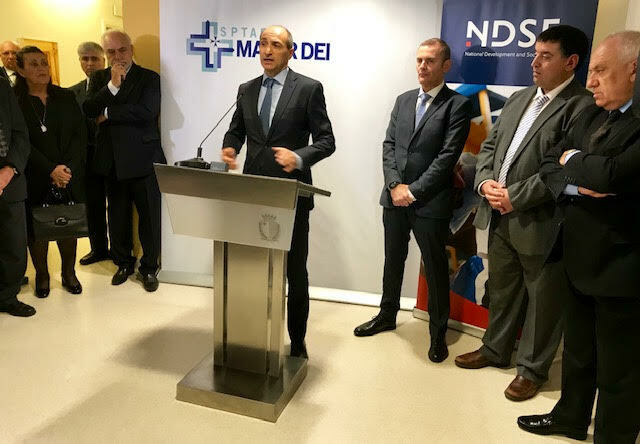 Deputy Prime Minister, Chris Fearne, stated that the equipment at the Cardiology Department will further assist Malta to remain in top place in Europe where Maltese citizens live a longer healthy life. He said that the Government invested millions of euro in new equipment and training to cardiology workers and today the service is the best in the world. The deputy PM stated that with the cardiac MRI introduced last year, instead of sending 20 patients to Monza each year, now 30 MRI are carried out in Malta each month and, as announced in the budget, a third cardiac MRI will be purchased while the Government will partner with the private sector to extend the service.